Have you heard about the fantastic, end of year events hosted by The Sebastian Foundation? And the line up? SO much fun, you guys! Check out the list of who will be performing - there are two concerts: one, more kiddie-centric, the other, will pack a punch for lovers of pop and Christmas Carols. AND: tickets for the concert are only $25 each for the kids' concert, and $35 per ticket for the 6pm concert. SUCH good value! My kiddies looooove Sam Moran - he is so much fun in a performance - and the perennial, almost ageless fave, Peppa Pig ("I'm Peppa Pig! And this is my little brother George... and this is Mummy Pig, and this is Daddy Pig!" - SEE! That dialogue is ingrained in my brain...!). Paddington Bear is of course a classic fave. There is a little bit of crossover with the acts at the 6pm bash - see below for the full, fantastic, excellent value for money line up. The Sebastian Foundation is proud to announce that they will again bring Christmas joy to Sydney presenting the third annual Myer Carols In The City on Saturday 12 December. The evening will see Guy & Jules Sebastian joined on stage by some of Australia’s biggest names with tickets on sale today Thursday 28 October via www.ticketmaster.com.au and bigtopsydney.com. Tickets are $35 per person. This year the show will move to the iconic Luna Park Big Top, and the Christmas extravaganza will see a brand new show just for the young ones. Kids Carols in the City, held from 4:00pm will feature big names including Peppa Pig, Paddington, Sam Moran & the Bam Bam Binos and hosted by Channel 10’s Olivia Phyland. Tickets will be $25.00 per person with all profits donated to The Sebastian Foundation. Once the kids have had a jolly good time, the marquee show will begin at 6:00pm with Guy Sebastian, Tim Omaji, Kate Miller-Heidke, John Williamson, YouTube sensations SketchShe, In Stereo, The Fisher Boys, Jess & Matt, Emma Pask, Sam Moran, Fatai and many more surprise guests to join in the festive fun. 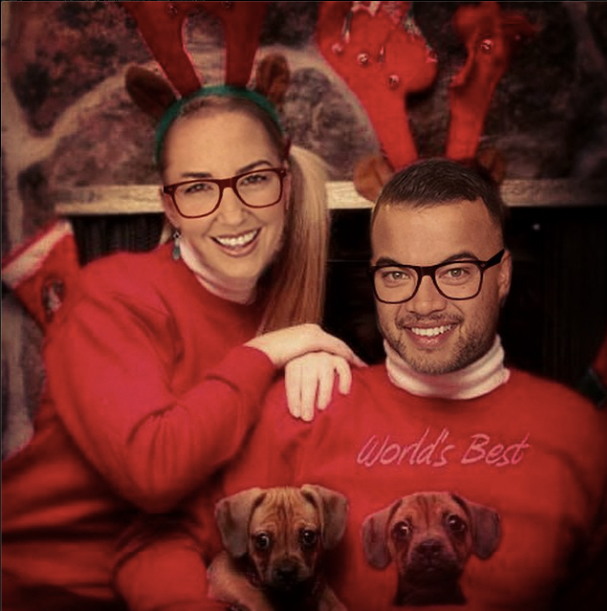 “Jules and I are so thrilled that Myer Carols in the City is back for a third year! We are so thankful for the love and support shown to The Sebastian Foundation. 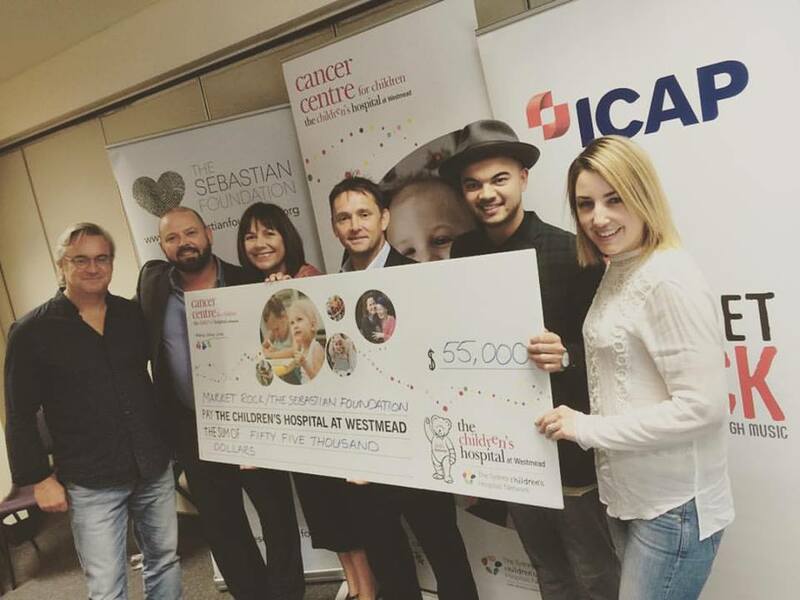 Without the generosity of organisations such as Myer, we would not be able to raise such important funds to assist families across Australia,” says Guy Sebastian. Guy and Jules Sebastian established the Sebastian Foundation in 2013, following the birth of their eldest son Hudson. The charity aims to provide those less fortunate a chance at a better life based on the notion of families helping families. Since launching, The Sebastian Foundation has joined forces with many like-minded partners and charities. Over $120,000 was raised in 2014 alone, with donations made to various children's learning programs and family welfare networks. Below, just some of the wonderful work The Sebastian Foundation do. You guys, these are KIND hearted people, with a beautiful charity ethic. They constantly come up with lovely ways to give to worthy causes. When The Sebastian Foundation – Guy and Jules Sebastian’s family charity – built a community kitchen for the Country Women’s Association (CWA) of NSW. The kitchen, which was generously donated by Freedom Kitchens and The Sebastian Foundation, will be built at the CWA Gunnedah Branch. The Gunnedah Branch has 43 proud members ranging in age from 40 to 90 who service a population of almost 8,000 by producing meals and catering for community groups including the Red Cross, Meals On Wheels and for rural workers affected by drought and other hardship. The Doreen Baker Community Kitchen will be opened on Friday 5 December in Gunnedah at a special high tea fundraiser hosted by Jules Sebastian. Photo and caption below, Facebook: It's moments like these that really reinforce why we started The Sebastian Foundation - this morning with our friends at ICAP we're handing over $55,000 to the Music Therapy Program at Westmead. To buy tickets now, CLICK RIGHT HERE - this takes you to the Luna Park site. Kids' show tickets, for 4pm show with Sam Moran, Peppa Pig, and Paddington Bear, all in the amazing Luna Park Sydney Big top: $25 each. 6pm show tickets: Guy Sebastian, Tim Omaji, Kate Miller-Heidke, John Williamson, YouTube sensations SketchShe, In Stereo, The Fisher Boys, Jess & Matt, Emma Pask, Sam Moran, Fatai and many more surprise guests to join in the festive fun: $35 each. AFTER PARTY tickets: pop us a line here below for more info.